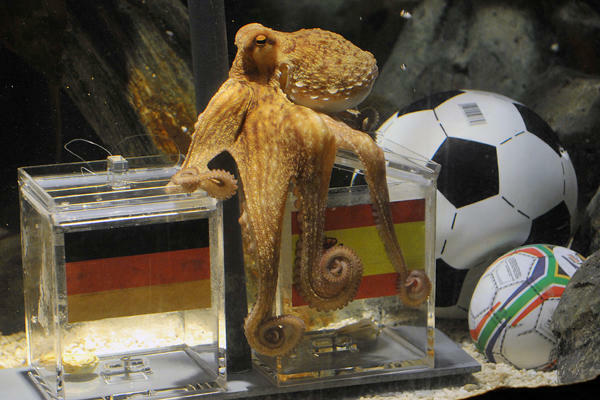 PAUL the Psychic Octopus, one of the undisputed stars of the 2010 World Cup, has been chosen as a new ambassador for the FA’s bid to host the World Cup in 2018. True story. With Paul in our corner, we cannot fail. Okay, this is something of a non-story and a viral bit of fun. I have no problem with that, and I’m sure it won’t harm or help England’s bid in the slightest. that thing will die in about a year or so. they don’t live that long.